I recently attended the first Female Entrepreneurs Day in Hong Kong. Hosted by Female Entrepreneurs Worldwide and supported by Jumpstart magazine, the event promised to Connect, Inspire and Empower attendees, with aims to promote female entrepreneurship and leadership, and broaden access to resources and support. Aside from a few niggles like a late start and no food or beverage, the event was well executed and there was broad enough content to appeal to a diverse audience. Here’s a recap of what I learnt – with a disclaimer that I only attended the morning session. The conference organisers had a great line up of almost exclusively women speakers. In addition to their motivational and business insights, the speakers shared intimate stories with the audience – how their mother ran a business from their lounge room and how that influenced them; how their children had serious health issues and in one case died suddenly; how their father’s passing impacted their life and approach to building business; how the transition from corporate world to own business is harder than expected. These are things you will almost never hear from male speakers at a business conference. The women made themselves vulnerable on stage and that’s an engaging and incredibly brave thing to do. It was surprising to me that the main panel speakers for the event were all working or had worked in some way on businesses that respond to social needs. Environment, women’s empowerment, health and education were all areas that the speaker’s businesses directly addressed, or in the case of the sole lawyer panelist, supported through pro-bono work. I found this interesting because it made me wonder if women entrepreneurs are differently motivated than men to establish their businesses. It also gave me a sense of the real work being done by private enterprise to address social issues. However, I thought this panel was under representative of women business owners. I would have loved to hear from someone leading a business outside of ‘traditional’ female dominated areas. One of the single speaker talks was from a former NYU professor turned professional speaker, investor and entrepreneur. With all of that on-stage experience, he gave a fantastic performance, but what intrigued me the most about it was that he suggested that if organisations build formal structures and habits focused on the future, they can see “tomorrow’s tomorrow”. This might be part of a common business school curriculum but I thought this was fantastic. His system suggests that if you set up opportunities for regular and structured dialogue about the future among employees, allowing people to bring ‘something from the future’ to the table (without judgement), and how that future might impact them, their families or society, after a half year, your company and employees will ‘live in the future’ and be able to create products and services that can impact a future no one else can see. Sounds pretty cool. I think this is something that anyone thinking about starting their own business needs to come to terms with. One of the speakers put it best when she shared the advice that got her started in her first venture. Seeking out a woman she admired as a mentor, she explained her idea and was given a sharp response. “Stop talking about it already – just do it!”. Many people may have similar ideas to you but they may not be acting on it. Taking the leap from idea to action may come naturally to some and for others they may require more external motivation and support. Wherever you find yourself it’s important that if you feel the urge to do something, the only way you will find out if it is right or not is to try it. As another high level executive explained, “once you open the door and peak into what’s possible, it’s hard to close it again.” Find the support you need to turn your idea into reality. One of the panelists passionately spoke about the lack of regulatory frameworks, government and big business involvement in supporting start ups in Hong Kong. 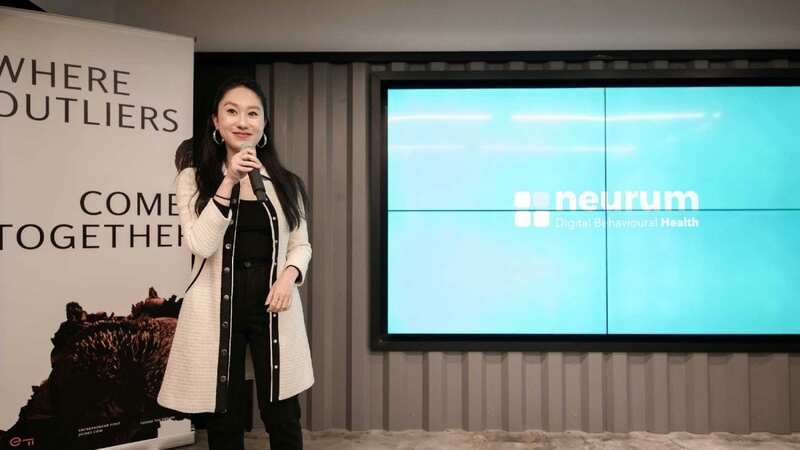 She highlighted the lack of an open crowdfunding platform, cynicism and disappointment in the support provided by government agencies, and gripes about the costs of listing on the HK stock exchange. It seems that Hong Kong needs to do more to establish itself as a hub for entrepreneurs in Asia. With countries like Singapore and Australia also seeking to attract new businesses, Hong Kong must up the ante to keep up in this competitive region. With a huge surge in new ventures coming out of mainland China, Hong Kong has an incredible opportunity to build a world class centre for supporting new ideas and spreading them to the world. After spending just a few hours with the women of FEW I did come away with feeling more connected, inspired and empowered. 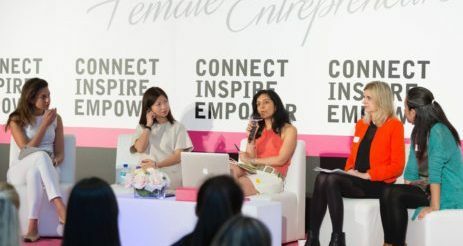 With plans to take the conference to Singapore and London, I hope the organisers can continue to find speakers willing to share their stories and support women in business.